In May 1990, my wife and I realised a long term ambition when circumstances allowed us to purchase a Citroen SM from Jeffrey Dutton Pty. Ltd., Church Street, Richmond, Victoria. The car was purchased by A.O. Duttons & Sons Pty. Ltd, from Mr. Jack Aptaker and is one of only three vehicles originally owned by the Citroen Factory and officially built as right hand drive (RHD) versions by Middleton Motors in the UK. At this time I was told that only one other vehicle was still in existence and that the third had been damaged beyond repair. I was to discover, however, the whereabouts of both other cars and more! During a visit to the UK in June 1994 when I was reading Classic and Sportscar magazine, I noticed the write up of an International Meeting of Citroen SM clubs, to be held in the New Forest area, culminating with a concours on Sunday June 5 at Beaulieu. My wife and I attended the concours where about fifty SM's from the Continent and UK were magnificently presented, including one of the apparently three remaining Chapron bodied four door models. All were left hand drive. At the concours, we were extremely fortunate to meet Derek Corpe, a fellow Citroen enthusiast and owner of Middletons first SM RHD Conversion (among other SM's). Derek was able to confirm that our vehicle was the second converted and that the third vehicle was still owned and driven by Mr. Roy Middleton. After a telephone call to Roy, a meeting was organized at his home on 10 June 1994, and Derek kindly arranged to drive me there. We spent a couple of enjoyable hours discussing the history of the original three RHD SM's as well as being treated to a tour of inspection of some of Roy's other rare and desirable motor cars. My thanks in particular to the late Roy Middleton, who confirmed and added to information gleaned from other Citroen addicts and my own research, and thus enabled me to present this article regarding the three factory approved RHD Citroen SM conversions. (Unfortunately Roy died in August 1994, just after our visit, but subsequent discussion with his wife,Tanya, revealed that he read and concurred with the following just prior to his death). Soon after the release of the SM there was an obvious call for RHD version production and the UK factory of Citroen (Citroen Cars Limited, Trading Estate, Slough, Buckinghamshire, UK), a vehicle building division in its own right, was commissioned to investigate and report to Citroen France on the feasibility of producing ten (the estimated worldwide RHD market) vehicles per week. Whilst there is every probability that Citroen UK (Slough) would have carried out any RHD building project it was pre-empted when the Managing Director of local Citroen Dealer, Middleton Motors Ltd., Roy Middleton, suggested that he could manufacture the required components and produce RHD vehicles. Citroen agreed, and in consultation with Roy, working drawings for all right hand drive parts were prepared in France, with the proviso that engineers from Slough be allowed to progressively inspect conversion work on three prototype factory vehicles supplied by Citroen France. These were to be supplied to Middletons and after conversion, returned to France for final inspection by Citroen engineers. (SA Andre Citroen, 133 Quai Andre Citroen Paris 5e FRANCE). The factory cars, two carburettor and one fuel injected version, (possibly factory demonstrators) were sent to the UK and converted by Middleton Motors in Potters Bar in liaison with Slough engineers. When the first car was completed it was taken to a hotel in Burnham Beeches and locked in a garage until unveiled for the Managing Director and Chief Engineer of Citroen at Slough to inspect. It took about three months to complete and was initially converted by turning the LHD steering rack upside down. A special relay box and gears was subsequently built to convert the steering rack to RHD and this was fitted to the later two cars and retrofitted to the first. An opposite handed quill shaft was also manufactured to operate the variable power steering. All three cars were returned to the Bureau d'etude (Board of study) in France for inspection before finally being approved by Citroen and returned to Middletons. A fourth vehicle, less the parts not required for RHD versions, was sent to Citroen in Slough to be the first production RHD car. 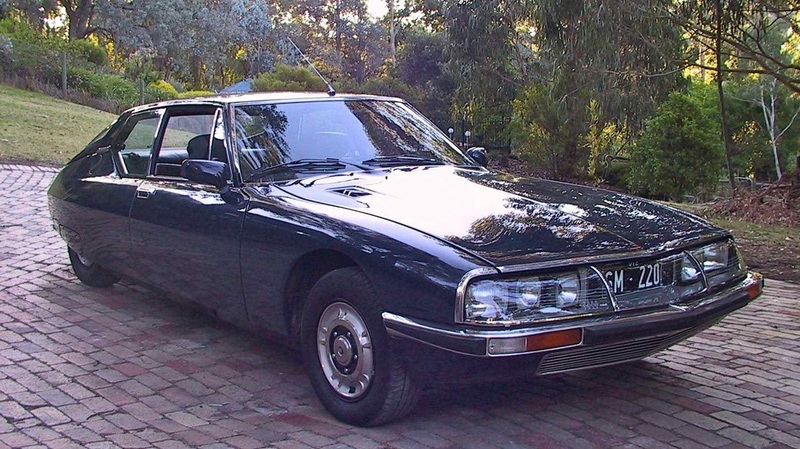 This vehicle was never collected from Slough by Middletons, however, as the fuel crisis of the early 70's caused a severe slump in the sales of the SM which, along with changes to the ownership and control of the Citroen organization, resulted in cancellation of further SM production. Roy Middleton meanwhile, having been assured verbally of the go ahead of the RHD SM, had set up a Factory specifically for the project in Hedley Rd, St. Albans, Hertfordshire, UK. (It is possible that some of the final work on the three initial vehicles was completed at St. Albans although most was handled at Potters Bar). Citroen paid for some of the preliminary work such as foam shaping and covering of about a dozen dashboards and all other RHD components commenced by Middletons prior to cancellation. They were unable to assist Middletons in their outlay for, and set up of the factory however, but Roy Middleton, by arrangement with Citroen retained the three RHD vehicles. He later sold the two carburettor versions and kept the fuel injected car for his own use. 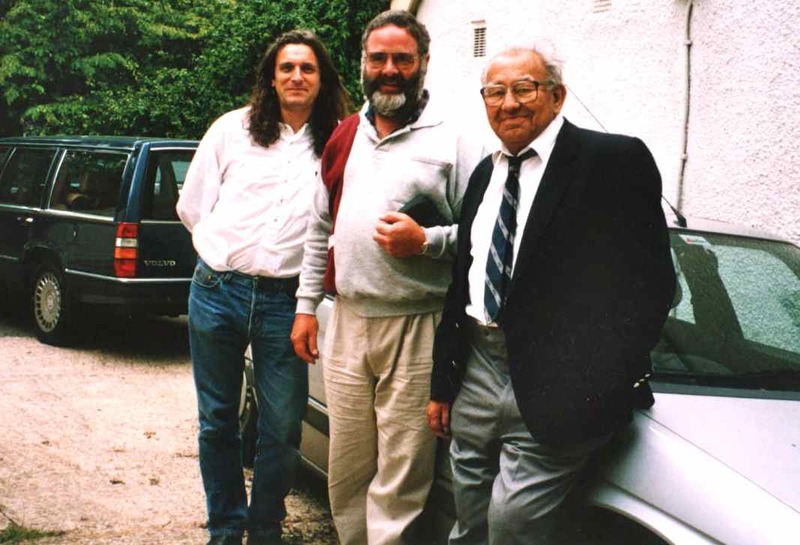 The attached photograph taken on Friday, 10 June 1994, is of Roy Middleton (above right) with Derek Corpe (left) and the writer, John Mole, (centre) owners of the three vehicles which amazingly, still survive. The first and third are in the UK and our car, number two, is in Victoria, Australia. Roy Middleton was also responsible for design improvements to many other Citoren SM's, among them being fitting of electronic ignition and timing chain modifications, two particular areas where problems were experienced. Carburettor version. Engine Nº 105127. Chassis Nº0059004438. Originally light green with fawn interior - now dark blue with grey interior. Owned initially by the Citroen Factory in France, then Middleton Motors at Potters Bar, Hertfordshire, U.K., this vehicle was bought having travelled a mere 1000 kilometres, by Jack Aptaker who was then living in London. After driving it around England for a few months he hired a container and brought the car with him to Queensland, Australia where it was driven until showing 24,000 kilometers sometime in 1984. He then sold it to A.O. Dutton Pty. Ltd, Burnley St, Richmond, Victoria. Duttons completely rebuilt the vehicle using all new parts where they were still available. The car was dismantled, completely stripped of all original light green paintwork, and repainted in deep blue in two-pack enamel by Heka and Co. The original beige seats were recovered in mid - dark grey (leather) as were other interior components, by Blackman and Sons in Victoria. The engine was removed and reassembled using all new parts and incorporating all the timing chain modifications, by John Nicholls. The car was rebuilt with no regard to cost and Jeff Dutton estimated that in excess of $50,000 was spent on parts and labour during its rebuild in the late 1980’s. The car was registered with the Victorian number SM220 and was to be the flagship of A.O.Dutton & Sons Pty. Ltd, but unforseen closure of the business allowed subsequent purchase of this SM June and John Mole through a sales outlet operated by Jeff Dutton. After travelling a most enjoyable and trouble free 47,0000 kilometres over a period of almost twenty years, June and John sold the car to another Victorian enthusiast who continues to enjoy and nurture this rare and beautiful vehicle. Are held on the 1st Wednesday of each month (Except January) at 92 Wills St. Glen Iris at 8 PM. Note: John Mole gave me permission to use his notes, and has given me the above photos.